Why the LED display is frequently tripped? Let's do a simple analysis of the frequent tripping of the LED display. 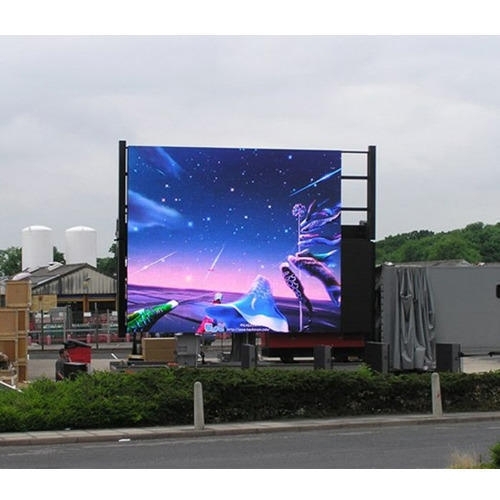 We hope to solve the problem of your LED display tripping. Due to the special characteristics of the LED display installation site, such as wiring errors, broken lines, damage to the leakage protector in the switch box, some electrical appliances do not pass the switch box, etc., and the inevitable misoperation and rejection movement of the leakage protector itself, and plus the failure to arrange the leakage protector according to the actual power consumption, caused the total leakage protector to frequently trip. In addition to strengthening management, it is necessary to rationally arrange the leakage protector according to the actual situation from the technical point of view. The leakage protector on the main power supply of the incoming line can be mainly used as the total protection against electrical fire hazards and electrical short circuits. It also serves as backup protection for each small leakage protection range. Its rated leakage current can be 200-500mA. The rated leakage operation time can be 0.2~0.3s. In this way, the influence of surge voltage, surge current and electromagnetic interference on the total leakage protector can be greatly reduced, and the selectivity and reliability of the total leakage protector operation can be improved. If the secondary leakage protection within each leakage protection range can be effectively protected, the frequent tripping rate of the total leakage protector on the site can be greatly reduced. 2. Without formed effective secondary or tertiary leakage protection within the scope of protection. The final leakage protector in the switch box is the main protection of the electrical equipment. If the final leakage protector is not installed, damaged or improperly selected, it may cause the upper leakage protector to trip frequently. Because there are many metal conductors in the LED display, there are many wire connectors. If the wire insulation is not very good, it will lead to frequent leakage.Some sockets are added. In many cases, the leakage protector is not installed, which often causes leakage. The frequent tripping of the leakage protector can be effectively reduced only if an effective secondary or tertiary leakage protection mode is formed within each protection range. (1) At present, the leakage protector, whether electromagnetic or electronic, uses a magnetic induction voltage transformer to pick up the leakage current in the main circuit of the electrical equipment, and the three-phase or three-phase four-wire cannot be completely balanced in the magnetic ring. The three-phase electrical load of the LED display screen may not be completely balanced. Under a large current or a high overvoltage, a certain electromotive force is induced in a magnetic ring having a high magnetic permeability, and the electromotive force is large to a certain extent. It will cause the leakage protector to trip. Since the leakage current protector with larger rated current uses a relatively large magnetic ring, the leakage flux generated is relatively large, and the leakage current overcomes the magnetization force of the magnetic ring itself, resulting in the more the rated current of the actual leakage protector being used, the lower the sensitivity, the greater the rejection motive rate. (2) The leakage protector has an action uncertainty zone between the rated residual operating current and the rated residual non-operating current. When the leakage current of the leakage protector fluctuates within this area, may lead the leakage protector trip irregularly. (1) The rated leakage current used in the switch box exceeds 30 mA or the leakage protector that exceeds more than twice the rated current of the electrical equipment, or the leakage protector with delay type is selected, due to the rated residual operating current Increase or decrease the sensitivity of the protection. When a leakage fault occurs, the final leakage protector does not operate, and the upper leakage protector may operate. (2) The starting current when starting the LED display is often large, and this large current may cause the leakage protector to trip. Therefore, the cabinet of the LED display should be powered up as much as possible in batches. In addition, electromagnetic leakage protectors that are less sensitive to surge overvoltage and overcurrent should be selected, or electronic leakage protectors which 1.5~2 times larger than the rated current, but as the final leakage protection, the rated residual operating current should not be greater than 30 mA. In short, the frequent tripping of the leakage protector is the result of a combination of various factors. The most important thing is to properly arrange the leakage protector, reduce the protection range of the second or third-level leakage protector, and correctly select the leakage protector and wiring so that each the second or third-level leakage protector in the range is in an effective protection state; On the other hand, it is to strengthen the power management and improve the quality of the power users through training, so as to eliminate the non-electrician wiring, so as to improve the safety of electricity consumption, It can also reduce the frequent tripping of the leakage protector and create better power supply conditions for the normal operation of the LED display.